Last modified on December 13th, 2017 by Vincy. Shopping cart checkout with payment gateway integration (PayPal) is a most wanted article for the PHP shopping cart coders. In this article, we are going to integrate PayPal payment gateway with the shopping cart. 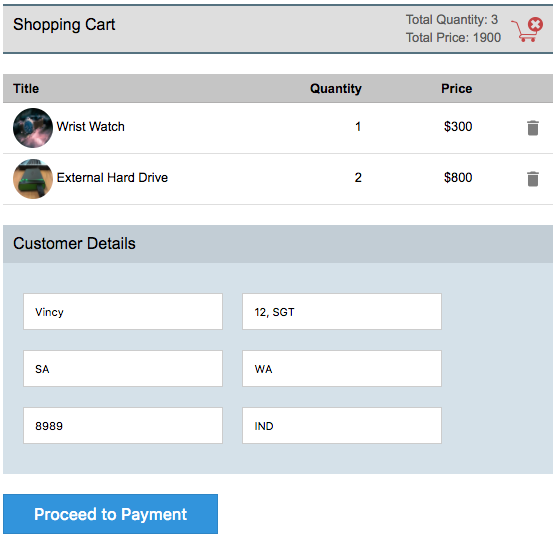 In a previous tutorial, we have seen how to add a product to the cart from a gallery. After adding products to the cart, it includes 3 further steps to purchase the cart items. Those are, checkout cart item, place order and process payment. In this article, we are going to cover the remaining steps for implementing shopping cart with payment integration. In this example, we are going to use the same product gallery view as we have used in the enriched shopping cart example. 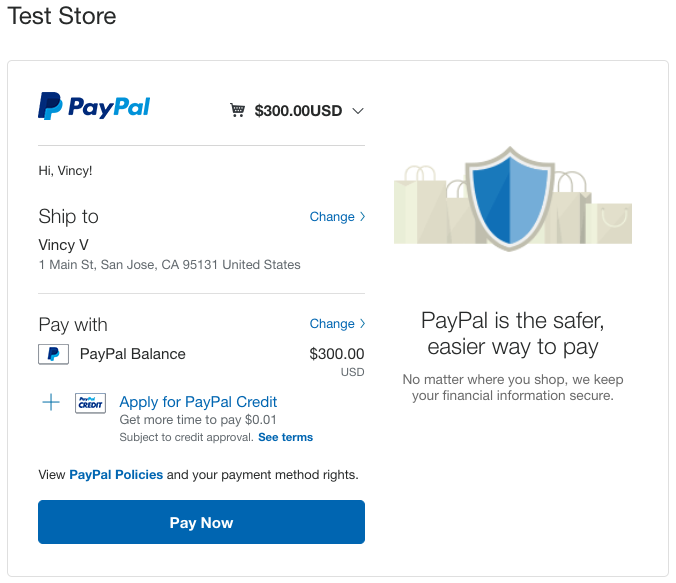 The shopping cart contains a Go to Checkout button to trigger the purchase flow to the payment via PayPal payment gateway. This step requires product list to be shown to the buyer who wants to purchase products. 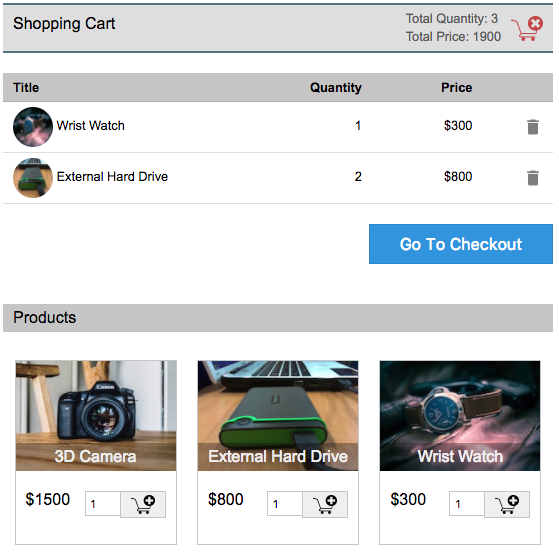 In our shopping cart example, we have a gallery view to show each product using a card. Each product card contains the Add to Cart icon. In a previous tutorial, we have seen examples of handling both session-based and database-based cart. The database-based method is used to have a persistent shopping cart. The following screenshot shows the product gallery and the cart view. In this step, we do cart checkout and proceed to the next level. While processing checkout, the buyer needs to give the shipping details as shown in the below screenshot. This is to confirm placing the order of items. On clicking the Proceed to Payment button shown on the above screen, the customer details form will call action to confirm placing the order with status pending until the payment is completed. On successful placement of the order, the buyer required to confirm payment by sending the payment information to the PayPal. In this example, I have used the PayPal sandbox URL for testing. In a previous tutorial, we have seen how to integrate Paypal payment gateway using PHP. 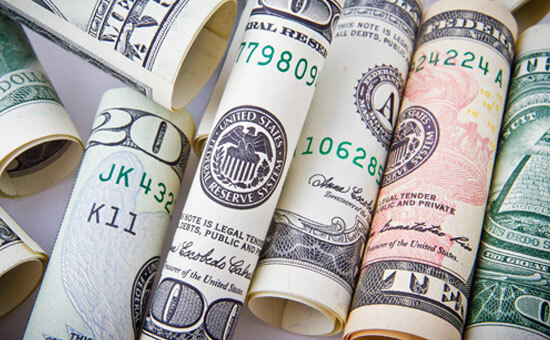 The following code shows the HTML form with parameters has to be sent to the Paypal like item_numer, amount, currency_code, notify_url, return_url and more. In this final step, the buyer will be redirected to the PayPal page and required. This page will ask the buyer to pay for his order. After successful payment, the response will be added to the tbl_payment table and the order status will be updated as PAID. These database updates are done in the notify.php which will be accessed via PayPal as we have specified in the above form. After that, the order status will be acknowledged to the buyer with the order id.